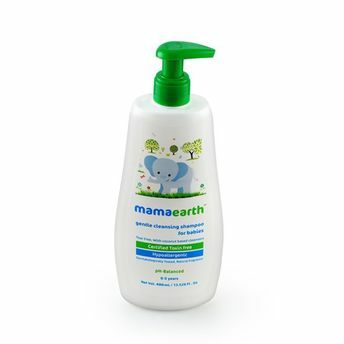 Mamaearth's baby shampoo is a gentle cleanser that understands shampooing is no easy task and involves real cleaning. This 100% toxin free formula gives your baby soft and nourished hair. This gentle, tear-free and coconut based shampoo cleanser instantly cleanses hair and scalp. It is made with utmost care to make sure it does not irritate baby's sensitive eyes and is absolutely gentle on skin. This shampoo is everything you've been looking for your little one!